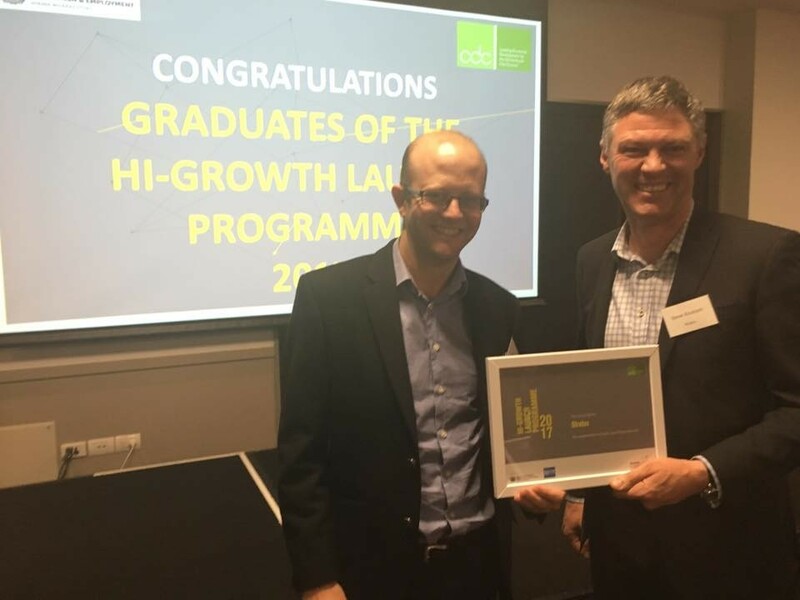 Stratos Technology Partners is one of ten Canterbury businesses selected for the 2017 Hi-Growth Launch Programme run by Canterbury Development Corporation. Six years ago we launched the company very quickly and our entire business plan was scribbled down on a single piece of paper. It wasn’t until 2015 that we started development of a longer term strategy. This resulted in rebranding as Stratos Technology Partners, focusing our services offerings and building our teams size and capabilities. Participating in the Hi-Growth Launch Programme is a great opportunity to develop our strategy to take Stratos to the next level. It is also an chance by to test our thinking with people who have walked the walk. To win this opportunity, we needed to demonstrate that Stratos has potential to grow and scale up. The development of a cloud based clinical research system demonstrates our capability to build complex solutions for off-shore clients. This project rolled out in Adelaide earlier this month with users in Perth going live in the next few weeks. Providing software development services to off-shore clients has big potential for New Zealand and we are pleased to see other technology companies joining us in the programme. If you have a business with hi-growth potential and aspirations to make it happen, then we encourage you to put yourself forward for this programme in 2018.